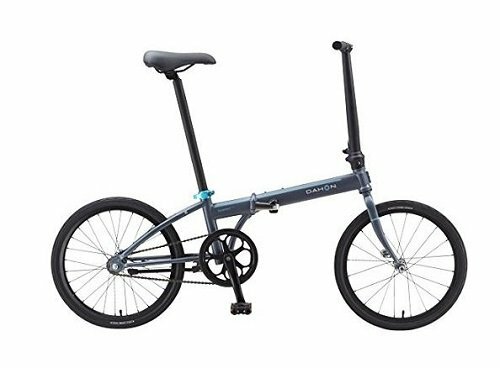 Dahon Speed Uno folding bike is a great all-rounder with excellent functions, light weight, compact design and reasonable price. It is currently one of the best-selling folding bikes in USA. Priced at around $400, this folding bike is not only affordable but also suitable to anybody, especially urban commuters who live in big, crowded cities. Dahon Speed Uno is designed to fit the lifestyle of urban commuters who probably dislike the hassle of changing gears while riding. The awesome design makes Speed Uno look like BMX or freestyle bike rather than a typical folding bike. This bike has a good adjustment of seat, which makes it convenient to ride for even a 6-feet-high person. Its practicality and comfort integrate perfectly into an aesthetic design. Some buyers may feel concern with the small wheels, because they may make riders hardly keep stability while too big wheels make the bike unable to be neatly folded. 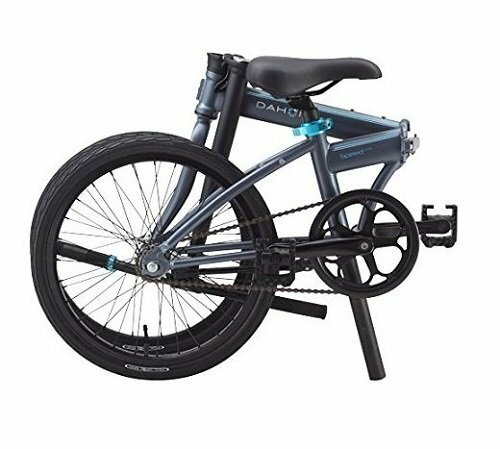 Dahon Speed Uno has 20-inch wheels whose advantages include quicker acceleration, portability, ability of higher speeds and effortless storage. At 24.2 pounds (10.9 kg), Speed Uno is one of the lightest folding bikes of Dahon. The light weight makes it super easy to carry the bike around, lifting it upstairs or elevating it to your car trunk. In addition, light weight increases the ease of riding. A heavy bike is much more difficult to pedal especially uphill. You will be surprised at how this Dahon bike tackles the hills. It takes less than 15 seconds to fold the bike completely. It is held together by a magnet latching system and kept in a compact shape. As seen in the picture, folding the bike creates a tripod stand which helps it to stand free without falling down. Safety is maximized with the DoubleLok, which functions as a reminder to ensure the latch’s being properly secured before riding. Despite its light weight and minimal design, Speed Uno is solidly constructed. It runs fast, balances well, climbs small uphill with ease and can carry up to 200lbs capacity. Despite the whole well constructed body and frame, only the folding plastic pedals are fragile parts. Users need to pay attention when folding the bike to make sure they stay intact. This might be a disadvantage to those who are unfamiliar with coaster brake, but it can be super fun for others to ride. It somehow reminds of bicycles we rode as kids, stopping the bike by pedaling inversely.